At Lion's Gate in Red Lion, PA we are excited to welcome your furry friends with a pat on the head and a scratch behind the ear. Our spacious, pet friendly two and three-bedroom floor plans are the ideal size for sharing with your pet. We also offer walking trails throughout our community so you can enjoy an evening stroll with your best friend by your side. The nearest off-leash dog park to our townhomes for rent is Dallastown Community Park, less than four miles away. Canine Meadows at John Rudy Park in York is nearby as well, and home to three enclosed areas for small and large dogs. Does your pet love nature trails? A visit to William Kain Park on Lake Redman is sure to make tails wag. Several veterinary offices such as Heston Veterinary Medical Center and Cape Horn Veterinary Associates are only minutes from our Lion's Gate Townhomes. For pet supplies visit Pet Valu or All About Pets Too. 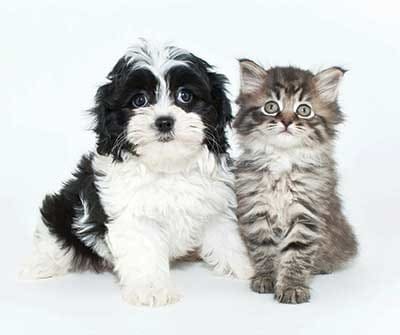 For more information about pet friendly apartments in Windsor Township, contact the Lion's Gate leasing office today.